Deputy Sheriff Robert Bornet was killed in an automobile crash near the intersection of Telephone Road and Montgomery Avenue while attempting to take action after observing a hit-and-run accident. He was in uniform while driving home from the county courthouse for his lunch break when he witnessed the accident. He began to follow the offending vehicle and called for assistance when he was involved in a fatal crash. 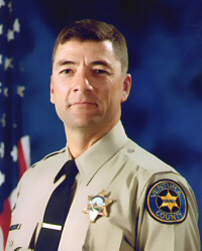 Deputy Bornet was a U.S. Navy veteran and had served with the Ventura County Sheriff's Office for nine years. He is survived by his wife and four children.